Do you look at your hair in the mirror and wish it looked shinier and more vibrant? This lightweight blend of African oils is formulated specifically for women with thin hair, and helps moisturize your hair and scalp while leaving you with a smooth, silky and conditioned look. Enjoy a more beautiful appearance, and appreciate your reflection a little bit more. Ingredients: Cyclopentasiloxane, Dimethicone, Isododecane, C12-15 Alkyl Benzoate, Phenyl Trimethicone, Schinziophyton Rautanenii Kernel Oil, Sclerocarya Birrea Seed Oil, Cyperus Esculentus Root Oil. Just love , love, love! 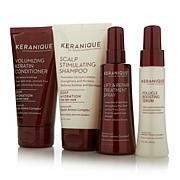 I use the full line of hair regrowth products. This oil is like the icing on a cake. 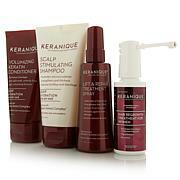 It makes my hair shiner, softer and managable. I am 69yrs. Young and on alot of medication due to heart transplant. I also like that you can spray it on just where you want it and as you need it. A little goes a long way. This is so worth what you pay. Thanks Hsn! I spray some after I wash my hair while it's still wet before styling and drying. My hair shines. I have gotten compliments. It's a matter st and you don't need much. I ordered it again. I love this item it works great. I highly recommend it. 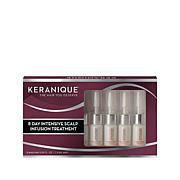 I use the whole Keranique line and love their products! The like the Marula Hair Oil because it's so lightweight. It makes my hair feel soft, shiny and helps control the fuzzies without ever weighing my hair down! Neutral fragrance. Definitely recommend this one! My hair is thick, but lacks shine and pizzazz. I have used other thick, and goopy exotic oils that you need to pour into your hands and work thru the hair. If you are not a stylist (not me), it is hard to distribute the oils throughout the hair. I often left clumps of oils in certain areas of the hair so parts of my hair was shiny. I am not good with being patient and taking the time to distribute it all over the hair. THANK GOODNESS for this spray. Not only can I get the oil ALL over my head of hair, but it is so lightweight. I love that I can spray it and not have to pour it into my hands and try to distribute it in the right place. 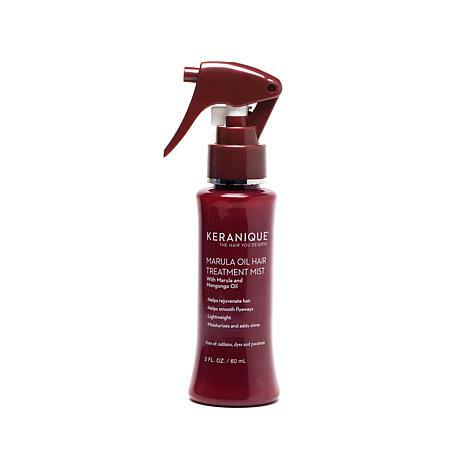 With Keranique Marula Oil Spray, I spray it where I want and now I have TOTAL control. My hair looks and feel fabulous! Yeahy! Thank You Keranique!!!! 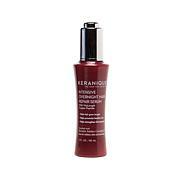 LOVE LOVE LOVE this product! !